Jim Scanlan received a materials science degree from Manchester University in 1977. He then spent over 12 years in the aerospace industry in a variety of roles, his final post being Head of Manufacturing Research at BAe regional aircraft. Whilst at BAe, Jim studied for an MSc at Salford University in aerospace design, and was sponsored by British Aerospace to study for a year at Cranfield University on a manufacturing management fellowship programme. Jim joined the University of the West of England in 1990 and completed a PhD in 1995 in computer modelling of the Aerospace Design Process. Jim was appointed to Reader in 2004. 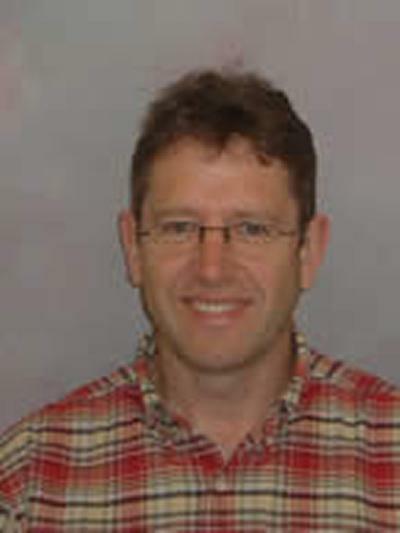 In September 2004 Jim accepted a post at Southampton University as director of design within the Computational Engineering Design Centre (CEDC). Jim manages a number of research programmes sponsored by BAE systems, Airbus, Rolls-Royce and the EPSRC. He has a particular interest in Design, Logistics, Simulation and Optimisation of organisations. He runs a number of MSc courses in these disciplines as part of the Aerospace IGDS MSc programme. Jim has recently created a spin-off business aimed at exploiting research into design process modelling. 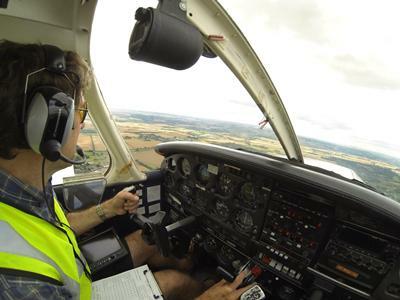 I have a Private Pilots Licence and fly Piper Warrior aircraft from Thruxton airfield. I was interviewed for BBC Radio 4 and the World Service's “In Business” programme, to discuss the civil use of Unmanned Aircraft (click here to see the interview). aerospace product life-cycle analysis and costing. Papageorgiou, E., Eres, H., & Scanlan, J. (Accepted/In press). Value driven conceptual design of unmanned air system for a defence application. Journal of Aerospace Operations, 1-29. Surendra, A., Scanlan, J., Eres, H., & Harman, A. (Accepted/In press). Development of a decision support framework for systems architecting in aerospace applications. Journal of Aerospace Information Systems, 1-39. Kumar, S., & Scanlan, J. P. (2010). Stress analysis of shaft-tube bonded joints using a variational method. Journal of Adhesion, 86(4). Scanlan, J. P. (Accepted/In press). Project failure: the planning paradox. Project Management Journal. Scanlan, J. P. (2004). Design analysis tool for unit cost modelling: a tool for unit cost estimation of gas turbine design within Rolls-Royce. Journal of the Association of Cost Engineers, 42, 8-10. Bru, C., Scanlan, J., & Hale, P. (2004). Visualisation of cost information. International Journal of Agile Manufacturing, 7(1), 53-59. Gramatyka, J., Eres, H., Scanlan, J., Moss, M., Holloway, P., & Bates, R. (2016). A probabilistic multi-fidelity aero-engine preliminary design optimization framework: technical and commercial perspectives. Paper presented at AIAA Aviation 2016, United States. Profir, B., Eres, H., Scanlan, J., Moss, M., & Bates, R. (Accepted/In press). Uncertainty quantification via elicitation of expert judgements. Paper presented at AIAA Aviation 2016, United States. Gramatyka, J., Eres, M. H., Scanlan, J., Moss, M., & Bates, R. (Accepted/In press). An integrated framework for Bayesian uncertainty quantification and probabilistic multi-criteria decision making in aero-engine preliminary design. Paper presented at 16th AIAA/ISSMO Multidisciplinary Analysis and Optimization Conference, Aviation Forum 2015, United States. Papageorgiou, E., Eres, H., & Scanlan, J. (Accepted/In press). Value driven conceptual design of unmanned air system for defense applications. Paper presented at 15th AIAA Aviation Technology, Integration, and Operations Conference, Aviation Forum 2015, United States. Ferraro, M., Lock, A., Scanlan, J. P., & Keane, A. J. (2014). Design and flight test of a civil unmanned aerial vehicle for maritime patrol: the use of 3D-printed structural components. Paper presented at 4th Aircraft Structural Design Conference, United Kingdom. Gorissen, D., Quaranta, E., Ferraro, M., Scanlan, J., Keane, A., & Takeda, K. (2012). Architecting a decision environment for complex design evaluation. 1-7. Paper presented at 53rd AIAA/ASME/ASCE/AHS/ASC Structures, Structural Dynamics and Materials Conference, United States. Ferraro, M., Gorissen, D., Scanlan, J., Keane, A., Quaranta, E., Schumann, B., ... Bolinches I Gisbert, M. (2012). Toward value-driven design of a small, low-cost UAV. Paper presented at 53rd AIAA/ASME/ASCE/AHS/ASC Structures, Structural Dynamics and Materials Conference, United States. Schumann, B., Scanlan, J., & Takeda, K. (2011). A generic operational simulation for early design civil unmanned aerial vehicles. The Third International Conference on Advances in System Simulation, Spain. Schumann, B., Scanlan, J., & Takeda, K. (2011). Evaluating design decisions in real-time using operations modelling. Paper presented at 2nd International Air Transport and Operations Symposium, Netherlands. Van Schaik, J., Scanlan, J., Keane, A., & Gorissen, D. (2011). Improving design rationale capture during embodiment design. In Proceedings of the 18th International Conference on Engineering Design (pp. 436-445). Technical University of Denmark. Cheung, J., Scanlan, J., & Wiseall, S. (2011). Some industrial challenges for implementing value-driven design. Paper presented at 2nd International Air Transport and Operations Symposium, Netherlands. Langmaak, S., Scanlan, J. P., Wiseall, S., & Sobester, A. (2011). Strategic jet engine system design in light of uncertain fuel and carbon prices. Paper presented at 11th AIAA Aviation Technology, Integration, and Operations (ATIO) Conference, United States. Langmaak, S., Scanlan, J., & Wiseall, S. (2011). Strategic jet engine System design in light of uncertain fuel and carbon prices. Paper presented at 2nd International Air Transport and Operations Symposium (ATOS 2011), Netherlands. Cheung, J. M. W., Scanlan, J. P., & Wiseall, S. S. (2009). An aerospace component cost modelling study for value driven design. Paper presented at CIRP IPS2 Conference 2009: Industrial Product-Service Systems, United Kingdom. Reed, N., Scanlan, J. P., Wills, G., & Halliday, S. (2009). Providing value to a business using a lightweight design system to support knowledge reuse by designers. 1-10. Paper presented at International Conference on Engineering Design - ICED09, . Jinks, S., Scanlan, J. P., & Wiseall, S. (2008). Near net-shape manufacturing costs. Paper presented at 15th ISPE International Conference on Concurrent Engineering 2008 (CE2008), . Thokala, P., Scanlan, J., & Chipperfield, A. (2007). Life cycle cost modelling of unmanned air vehicles. 446-451. Paper presented at 4th International Conference on Digital Enterprise Technology (DET2007), . Rao, A. R., Keane, A. J., & Scanlan, J. P. (2005). A cost based methodology for design optimization. In Proceedings of the ASME 2005 International Design Engineering Technical Conferences & Computers and Information in Engineering Conference (pp. 1-10). New York, USA: American Society Of Mechanical Engineers (ASME). Sóbester, A., Keane, A. J., Scanlan, J., & Bressloff, N. W. (2005). Conceptual design of UAV airframes using a generic geometry service. In Infotech@Aerospace Online Proceedings American Institute of Aeronautics and Astronautics. Eres, M. H., & Scanlan, J. P. (1970). A hierarchical life cycle cost model for a set of aero-engine components. Paper presented at 7th AIAA Aviation Technology, Integration and Operations Conference (ATIO 2007), .